Relocatable homes give you the flexibility and freedom to choose the ideal location for your new home. When you source your relocatable home from Willow Grove Homes & Granny Flats, you can rest assured that you are receiving an innovatively designed and brilliantly constructed home. 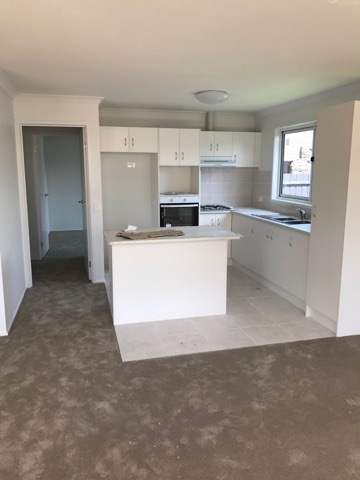 Create your dream home today or add a detached unit to your main dwelling to use as a guest house or accommodation for a dependent loved one by seeking out our relocatable homes in Melbourne. Live in the location of your choice. Those looking to purchase a relocatable home in Melbourne need look no further than Willow Grove Homes & Granny Flats. With a wide range of classic designs that are deceptively spacious, we have a home to suit everyone. With 1, 2 and 3-bedroom relocatable homes on display at our Dandenong display centre, there is bound to be a home for you. Granny flats that fit your lifestyle. When you purchase a portable granny flat in Melbourne from Willow Grove Homes & Granny Flats, you greatly increase the overall value of any property you choose to locate your granny flat at. Granny flats allow you to make the most of your land by adding value and providing clever multi-generational living. If you have decided on establishing portable granny flat in Melbourne, contact Willow Grove to begin the exciting process. Keep your dependent loved ones close. By adding a dependant persons unit to your property, you can keep your loved ones close while maintain your individual independence. A dependant persons unit can be used to house elderly parents, young adult children or other relatives who may need to live close to you for their comfort, convenience and safety. Keep your loved ones close by building a value-adding and convenient dependant persons unit on your property. You choose your own backyard. When you add a relocatable granny flat to your Melbourne property, you can potentially increase the value of your property and reap the benefits of a detached, independent living unit right next to your main dwelling. A relocatable granny flat also allows you greater freedom and flexibility to move wherever suits you, while not having to leave your dream home. 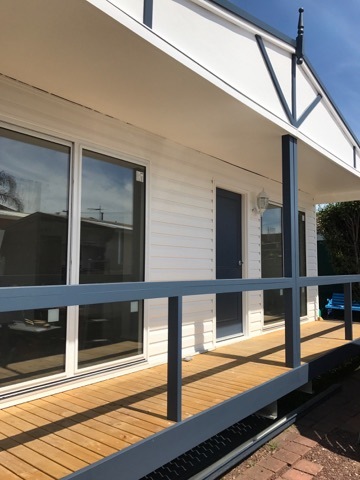 Make a smart investment by speaking to Willow Grove Homes & Granny Flats, your one-stop shop for granny flats, about our range of relocatable granny flats for Melbourne locals. Contrary to popular belief, relocatable homes are a time-honoured real estate trend that has been around for longer than you can possibly imagine. So, what exactly is it about these relocatable homes that make them such a big hit among homeowners from different generations? The answer to that question lies in the myriad of benefits that relocatable homes have in store to offer. But first, let’s understand what a relocatable home is. A relocatable home is an easily assembled home dwelling that can be moved from one place to another, depending upon the requirements or preferences of the owner. As you might guess, a relocatable home has a ton of major benefits that render it one of the top housing choices, especially for homeowners with extra dependents in Melbourne and surrounding areas. A relocatable home provides you with the flexibility and the freedom to choose the ideal location for your home. At Willow Grove Homes & Granny Flats, we are committed to providing only the most innovatively designed and brilliantly manufactured relocatable homes for sale in Melbourne and surrounding areas. You can not only create an entire home of your dreams but also add a separate detachable unit to your primary dwelling to use as a guest house or extended accommodation for a dependent. At Willow Grove Homes & Granny Flats, we offer a wide range of stylish as well as functional relocatable home designs to suit the unique housing needs of our customers. For a more immersive buying experience, you can visit our display centre in Dandenong and check out our classic one, two and three bedroom relocatable homes for sale. Our relocatable homes for sale are mobile in nature and constructed from only the most environment-friendly materials that support sustainable living. As such, these relocatable homes for sale are an excellent option for people who support ‘green’ living and wish to do their bit in conserving the environment. At Willow Grove Homes & Granny Flats, we believe in providing superior quality services to ensure a quick move-in within a short span of time - often between 6-12 weeks. Our relocatable homes for sale can be assembled faster as compared to most conventional housing units, often within a matter of days. That being said, the homeowners can quickly move in and settle in their dream homes without wasting their valuable time. Willow Grove Homes & Granny Flats employs only the most superior quality materials that are reinforced and quality-assured to provide greater satisfaction and value for money to our discerning customers.